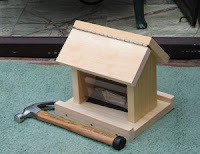 On Christmas Day, Grandpére and LittleBirder put together a bird feeder. 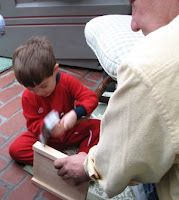 This is a very cool Christmas present. 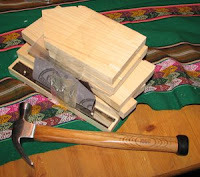 The hammer is a present for LittleBirder as well; it came with the kit that Grandpére made.